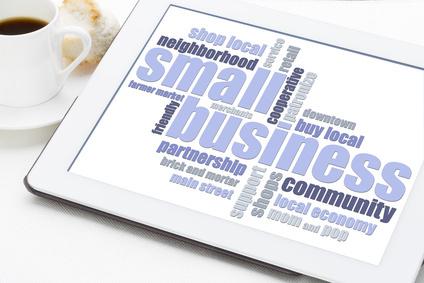 Failure to Follow SBA Small Business Joint Venture Regulations Will Cost You the Contract. Get Help Positioning Your Company for GSA’s OASIS UNRESTRICTED Contract Program. The Small Business Administration 8a Mentor Protege Joint Venture rules have significant power when applied to submitting proposals for federal government contracts (13 CFR 124.513, 13 CFR 125.9 and 13 CFR 121.103). However, there are still situations where small businesses can make serious legal mistakes and give up lucrative federal contracts as a result. The following SBA OHA decisions show that small businesses and large companies involved in SBA mentoring programs must be aware of the dangerous pitfalls and consequences for non-compliance with SBA Mentor Protege joint venture rules. Size Appeal of Sage Acquisitions, LLC, SBA No. SIZ-5783 (2016) (Area Office correctly determined that 8(a) member of purported mentor protege joint venture did not satisfy the requirement that it perform more than administrative and ministerial functions). Size This is 2017 case where SBA OHA disagreed with the SBA. (Area Office erred in finding appellant: (i) was in a joint venture with two sister companies; (ii) Area Office also erred in finding that the contractor was affiliated with its sister companies under ostensible subcontractor rule and the SBA’s misapplication of the common ownership, common management rules as it applied to performance of common administrative services. 13 CFR 121.103(b)(2)(ii)). The SBA also makes serious mistakes with their legal analysis of small business joint ventures involving in its mentoring programs. Government contractors should beware of the legal pitfalls and how to avoid them. As a result, the small business joint venture regulations contemplate an exception from affiliation only for formal joint venture compliance with 13 CFR 124.513 (c). If you do not have a formal approved SBA Joint Venture agreement, your scrutiny will be a lot more in a small business size protest or appeal. Arguably, SBA mentor protege joint venture rules are not applicable to a situation, where a protege provides subcontracts or other assistance to its mentor. Such an arrangement is not assistance from the mentor to the protege and therefore does not fall within the scope of 13 CFR 121.103 (b)(5) and 13 CFR 124.520 (d)(4). See also 13 CFR 124.520. Small businesses are also finding it difficult to develop relationships to be competitive in GSA’s OASIS UNRESTRICTED Contract Program. Under the SBA ostensible subcontractor rule and SBA joint venture rules, when a subcontractor is actually performing the primary and vital requirements of the contract or the prime contractor is unusually reliant upon the subcontractor, the two firms are affiliated for purposes of the specific procurement in question. Under 13 CFR 121.103(h)(4), the ostensible subcontractor rule has the effect of treating a prime contractor and subcontractor as joint venturers for a particular acquisition. See info about Mentor Protege and joint venture agreement advantages and disadvantages. Given the higher level of scrutiny given to small business relationships involved in SBA mentoring programs, companies should make sure that their business practices and relationships are in compliance with the SBA’s regulations. Be aware of recent Small Business Administration mentor protege joint venture program new rules governing MP programs. You can see how the recent rules impact your relationships. The regulations are very strict for companies entering into SBA 8a mentor protege relationships. 8 (a) companies beware: Particular care must be applied when small businesses are certified under the 8(a) Program as well as those bidding on federal procurements outside of the 8(a) Program. When appealing a small business size protest to SBA Office of Hearings and Appeal, you must also be careful when assuming that simply because you enter into an SBA Mentor Protege agreement that a finding of affiliation is always improper. Under 13 CFR 121.103 (h)(3)(iii) and 13 CFR 124.520 (d)(1) the SBA small business joint venture regulations would only apply to formal SBA small business joint ventures approved by SBA, not to constructive joint ventures as envisioned by the ostensible subcontractor rule. See also, 13 CFR 124.513, 13 CFR 125.9 and 13 CFR 125.8 – What requirements must a company satisfy to submit an offer? Are participants small? A key aspect of the contractual SBA JV agreement relationship is whether the small business is the prime or subcontractor. 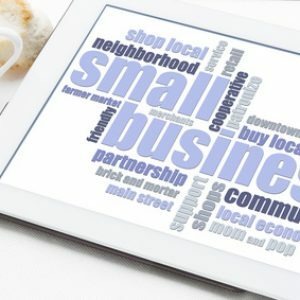 The new JV rules now allow two or more small businesses to joint venture without the burden of affiliation so long as both of them are small. Rules governing the SBA Mentor Protege Program, 13 CFR 121.103 (b)(6) and 13 CFR Part 124.520(d)(4) apply to assistance provided by a mentor to a protege, not vice versa. SBA rules may preclude affiliation if the mentor was the prime contractor and the protege was the subcontractor; the SBA affiliation rules do not extend to situations where a protege provides subcontracts or other assistance to its mentor. Benefits of Having a Small Business Administration Mentor Protege Agreement: The SBA Mentor Protege Program does have its benefits. However, the analysis is more than simply whether the parties have an existing agreement under other contracts. You must ask whether the SBA has actually approved this Mentor Protege agreement. If not, does the relationship still meet statutory requirements under 13 CFR 121.103? Read information about joint venture definition. Oftentimes, government contractors enter into a Mentor Protege agreement or small business Joint Venture contract when a specific procurement is not awarded under the SBA 8 a Program. This creates a unique situation under the SBA 8 a joint venture rules. In these situations, the agreements must still meet the requirements of 13 CFR 124.513 (c)(6) and (7), 13 CFR 125.8 and CFR 124.513 (d). See also SBA mentor protege exception to affiliation. For 8(a) certified companies, getting approval from the SBA should still be a requirement. This rule is focused primarily on the Small Business Administration Mentor Protege Program and 8(a) joint venture agreements for companies who are not 8(a) certified. There are basic statutory requirements that contractual joint venture agreement must meet in order to minimize an adverse impact is a small business size protest. Find out What is a Mentor Under SBA Rules 13 CFR 124.520 and 13 CFR 125.9. The protege firm must at least 40% of the joint venture’s substantive work. The SBA joint venture agreement must itemize “all major equipment, facilities, and other resources” to be furnished by each of the joint venture partners. SBA joint venture rules require your JV agreement to also specify the roles and responsibilities of the joint venture partners, including how the joint venture will comply with the statutory requirements. If an initial reading of the agreement does not meet these basic requirements, companies often find themselves losing out on lucrative government contracts. This is a situation where under SBA affiliation rules, your company runs the risk of becoming affiliated and can possibly lose the contract in a small business size protest. For additional assistance with the SBA Mentor Protege Joint Venture regulations under 13 CFR 124.513 or 13 CFR 121.103, call our government small business lawyers at 1-866-601-5518. FREE INITIAL CONSULTATION.